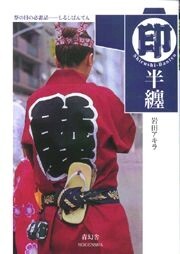 Shirushi banten are short traditional Japanese coats with identifying designs which evolved in the Edo period. They are now worn by the Japanese to display both neighbourhood and professional craftsmanship spirit and solidarity. The 500 designs collected here display the exceptional sense for design inherited from the Edo culture.